Clock dial restoration. I try to keep as much of the original as possible and keep the finish looking cared for but not new and blingy! 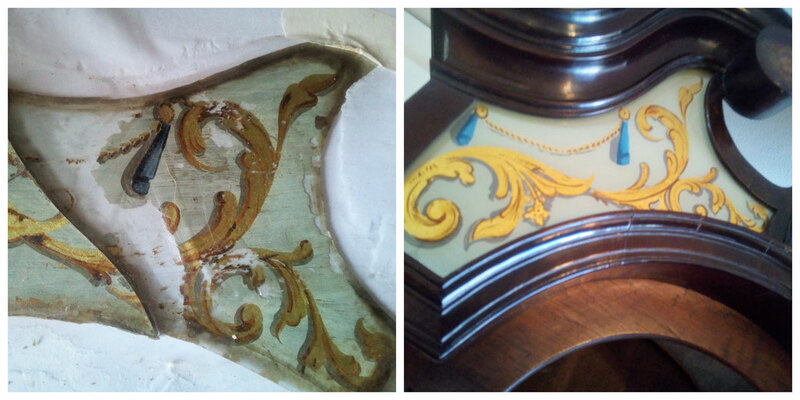 New pieces of glass wer cut to replace the four broken pieces in the hood of a grandfather clock. I used the technique called 'Verre l'eglomise', reverse painting on glass. The colours matched ,unlike my phone photos! This beautiful Lakin's Waltzer has been a long restoration over a few years, but I can only work as fast as my customer wants. The two master fairground artists that helped me Fred Fowle and Billy Hall would probably been apprentices working on this ride. 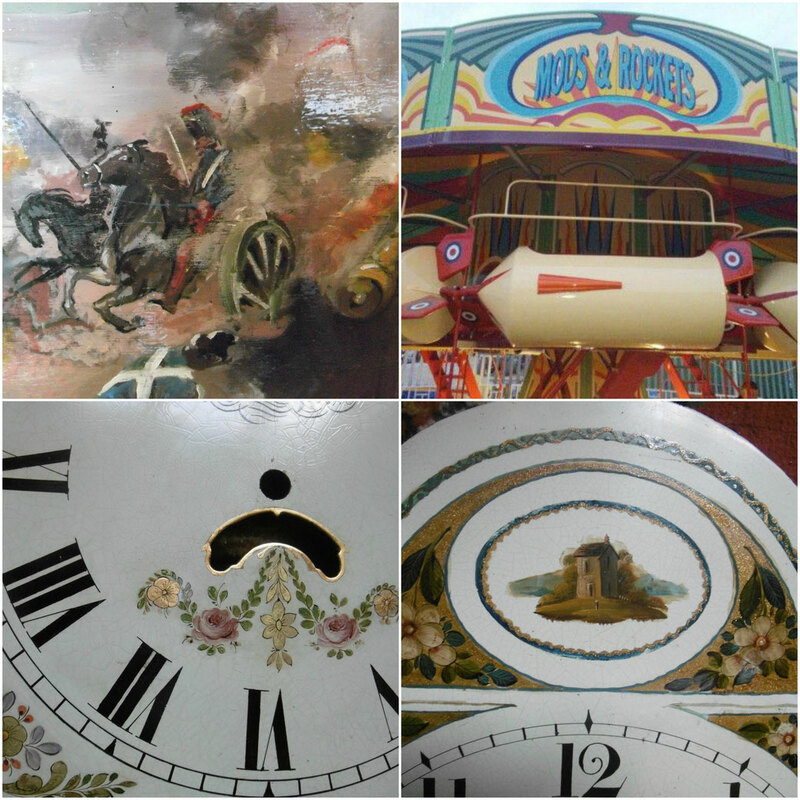 Billy's brother Edwin was the main decorator, unfortunately he died before I had a chanc to meet him....wonderful that his work still exists and that he is now recognised as a great fairground artist. 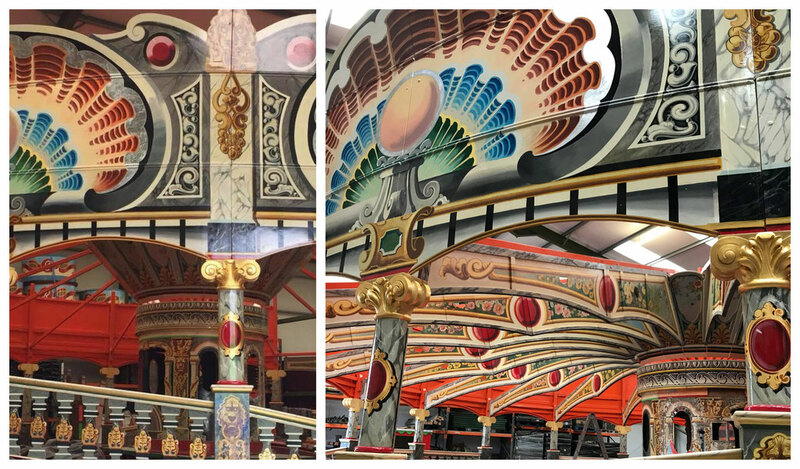 Top left is a new panel on a barrel organ, I woodgrained and gilded the rest of the organ. Top right is now at Dreamland, Margate.